Daily outfit 22/10/2014: Cowabunga Dude! It’s no secret that I’m a massive Teenage Mutant Ninja Turtles fan. But when the new Michael Bay film was announced, I was a bit iffy. I’m not a fan of Michael Bay’s films, and I wasn’t confident that he would do justice to my favourite crime-fighting quartet. But I wanted to check it out anyway. So last week, I decided to take myself on a little movie date. Naturally, I jumped at the chance to get all dressed up for the occasion. I wanted to wear something with a slightly Japanese feel to it, as a homage to my favourite TMNT character, Splinter. 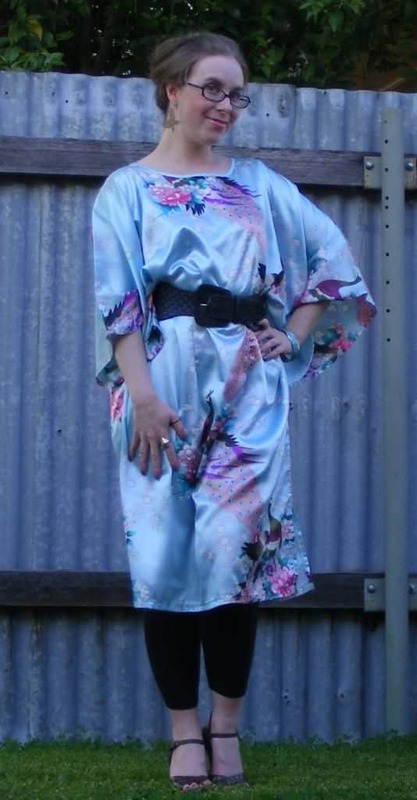 I think that the style of the flowers on this kaftan look like the sorts of flowers you see delicately painted on Japanese pottery, and that’s why I chose to wear this. Plus it’s super-comfy to lounge about it which makes it ideal for movie-watching. I kept my hair and makeup very loose and simple. 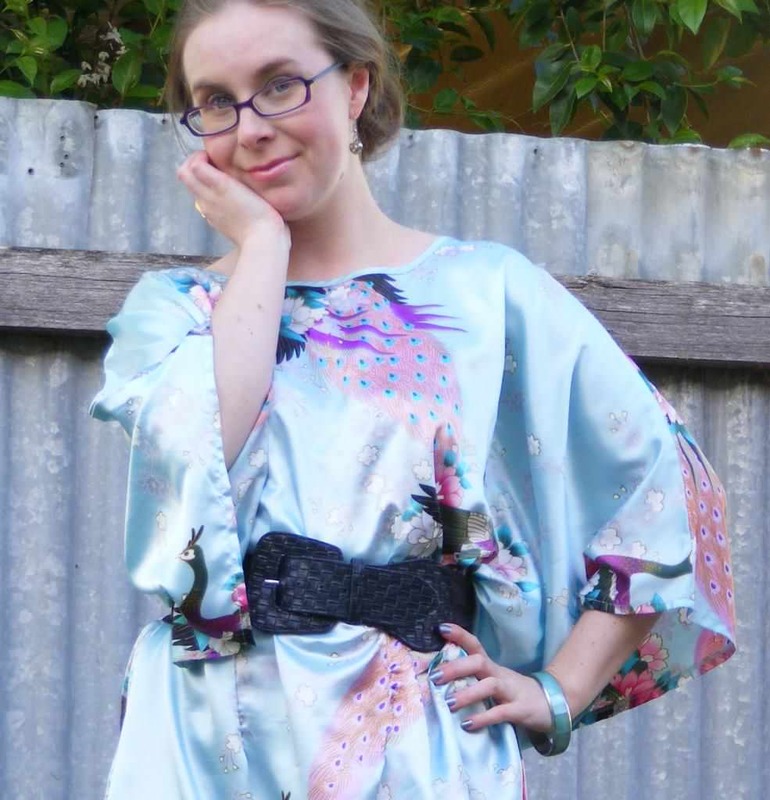 When I wear something a bit out-there (like this kaftan) I like to keep the rest of my outfit fairly conservative. That way the statement piece really stands out and I don’t look quite so batty. While I was very pleased with my outfit, I wasn’t so excited about the film. My expectations were very low, and I was still disappointed. I didn’t like the way that the turtle’s characters had been mucked around with. It’s like the script writers had decided to try really hard to differentiate each of their personalities, but went too far and each turtle wound up being a comical stereotype version of themselves. Donatello was more like a green Urkel and Michaelangelo was downright sleazy. I didn’t like the changes to the back-story of the characters, I didn’t like the casting choices and I hated the animation. The turtles looked so flippin’ creepy. They fell right on into the uncanny valley. So the movie wasn’t so great. But I was happy with what I was wearing, so I figure that’s a win. Did you see the new TMNT film? What did you think? Next Halloween 2014: Welcome to Pleasantville. You look fab, dahling! I love that you decided to wear the kaftan because of how it paid homage to Master Splinter 😀 Michael Bay is the WORST. Can he please stop molesting our childhood with all these “blockbluster” adaptations. I was horrified when I saw the concept art for it awhile ago, and then the trailer came out and I was like, “HELL. NO.” And the way you described how they went and ruined the characters… BLUGH. Just because Donatello (my favorite) is an intellectual doesn’t mean it’s okay to turn him into an anamorphic Urkel. And why do they nostrils?! WHY?! The nostrils were an “oh-no-no” for me too. So weird and unnecessary! The characters were so messed up. Donatello is my favourite too, and I hated seeing him being all squeaky and geeky. Even though he’s smart and a bit of a nerd, Donatello was always pretty calm and collected. In this film he was just super awkward, and not in an endearing way. And Michelangelo, my second favourite, is SUPER creepy. He flirts non-stop with April, and it’s so sleazy. I know that Mikey always had a soft spot for April, but he was never a sleazebucket. No thank ye! Even the trailers for the movie creeped me out! I decided then that I wouldn’t see the movie, after this, I’m glad I made that choice. 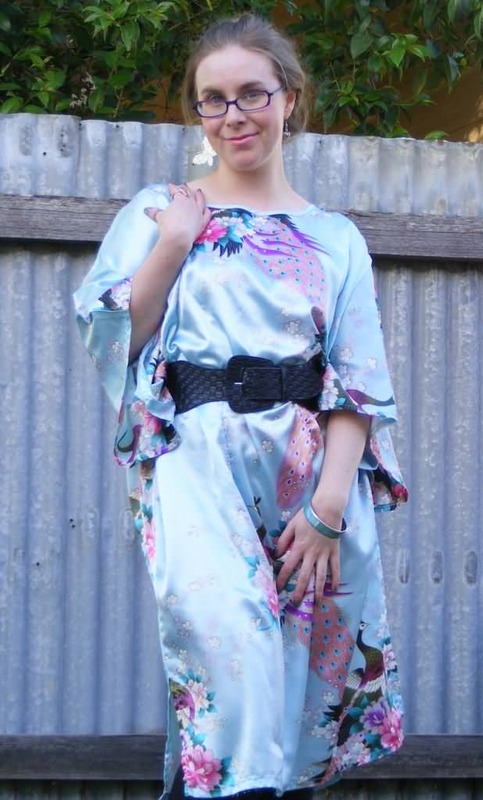 I do however really love this outfit, that kaftan is gorgeous! Yeah, I saw the trailer quite some time ago, and I wasn’t sold on it. But seeing as how I’m such a big fan, I couldn’t resist checking it out, if only to satisfy my curiosity. I think you made the right choice! You look so lovely; that kaftan is a total gem. Oh thank you! I hope you have fun if you do decide to take Miss Charlie out to the movies. In my hometown, they have special “Mums and Bubs” session in the middle of the day. The tickets are cheaper and all the mums have fun chatting to each other before and after the film. Is there anything like that when you are? Hi haven’t yet, but I hope, too. I was a TMNT fan back at the end of the 80s/start of the 90s (I had a Turtles themed dress, with a purple skirt and all the turtles on the bodice, when I was about 6/7 that I wore day in and day out!) and enjoyed the original movies a fair bit (though I did like the TV show, comic books, toys, and video games more), so I’d be game for watching the 21st century version anytime. If I do get to see it, I’ll be sure to let you know my thoughts on it. *PS* You look great! I love that super wide belt. Wow, that dress sounds amazing! I have a soft spot for the original movies, because the first TMNT film was the first film I ever saw at the cinema. I have fond memories of hiding my face in my dad’s shoulder when the Shredder gets killed.